Bath Spa University’s Students’ Union has partnered with local taxi firm V Cars to help ensure that its students can get home safely after a night out in the city. V Cars will operate the Students’ Union’s Safe Taxi Scheme, which is to be used in emergency situations, between the hours of 9pm and 3am, seven days a week. The scheme allows students to book a taxi journey for up to four passengers, to the value of £20, even if they do not have enough money for the fare. Students can call the main V Cars number, 01225 464646, and quote “Bath Spa Safe Taxi Scheme” to book and then present a valid student card as proof of ID. The University chose to partner with V Cars based on the taxi firm’s positive reputation in the city. 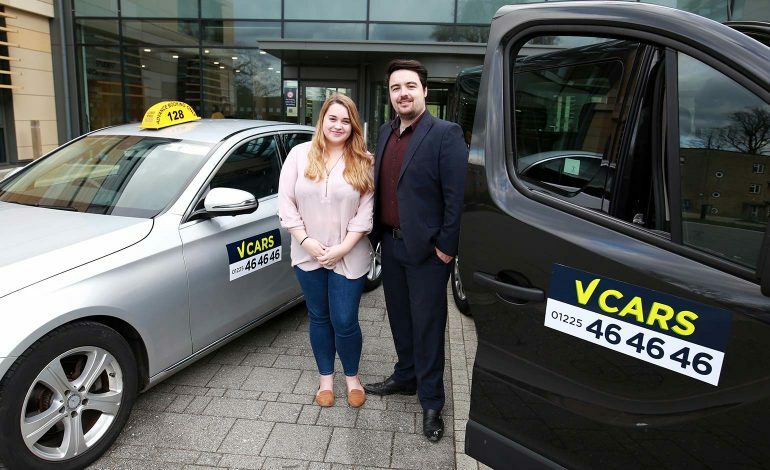 Enya-Jayne Battersby, Students’ Union Vice President for Community said: “We are proud to have launched the Safe Taxi Scheme with V Cars, which has been introduced to ensure students’ welfare. Chris Neary, V Cars General Manager added: “We are delighted to be able to provide this service to students of Bath Spa University, as part of our commitment to ensuring safe travel right across the city.